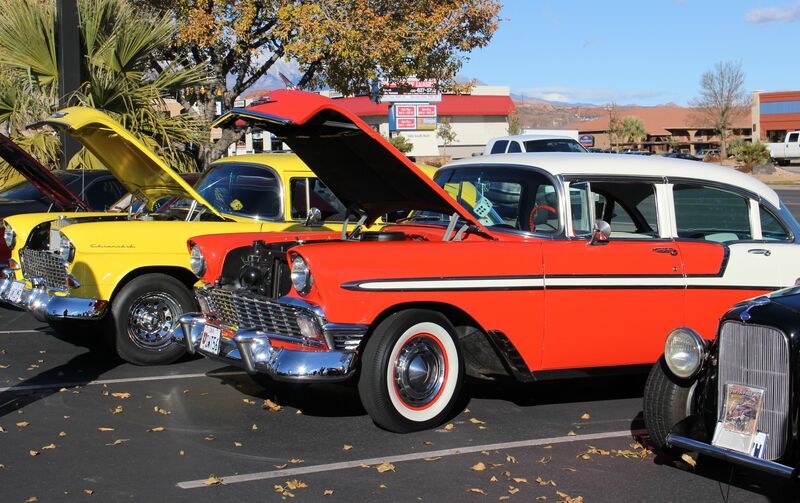 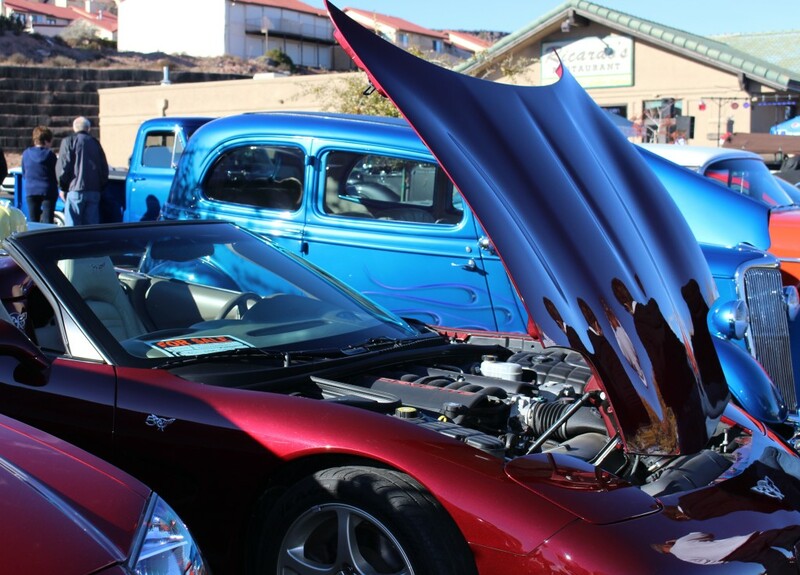 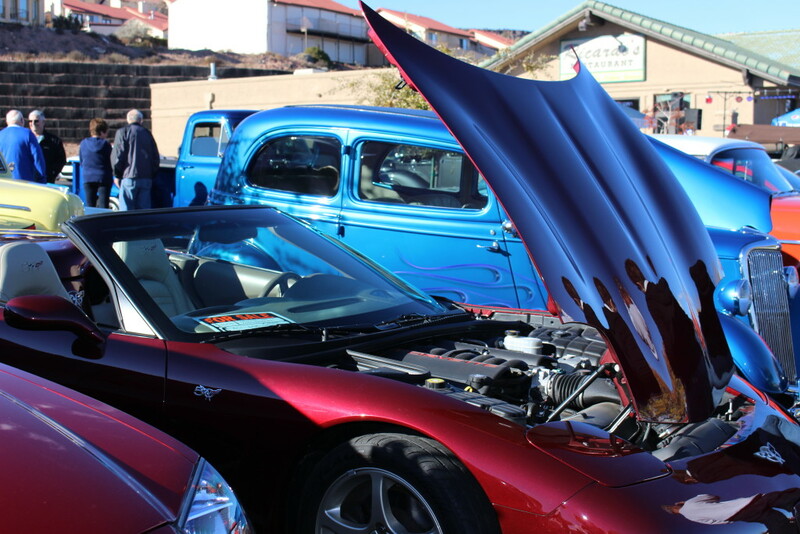 ST. GEORGE — For five consecutive years Car Guys Care and their “Show and Shine” car show have brought classy cars to St. George to help Toys for Tots, this year raising $3,400 in cash donations and 304 new unwrapped gifts Saturday, their biggest yield yet. 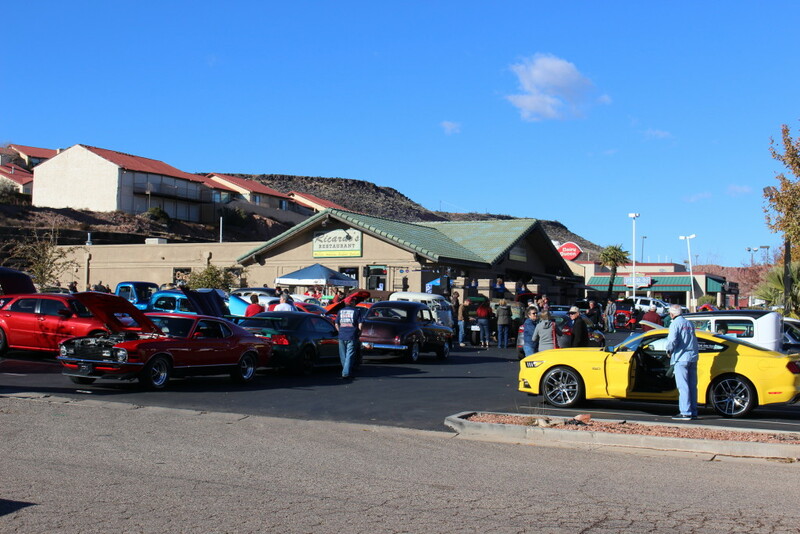 Car Guys Care is a group of philanthropic folks from several different car clubs who got together for one reason – to help the community. 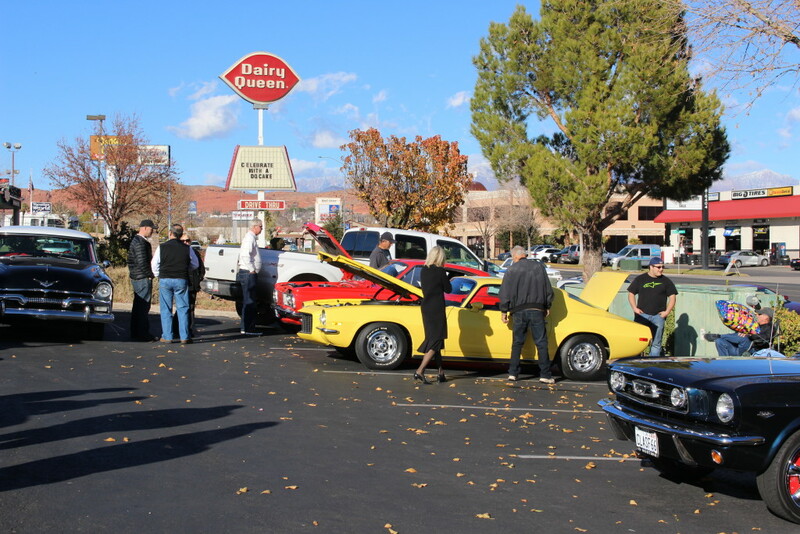 Dastrup, president of the Southern Utah Mustang Owners Association & Classic Ford Club, presented Toys For Tots Coordinator retired Marine Gy. Sgt. Rick Massey with over $3,400 in cash donations at the close of Saturday’s show. 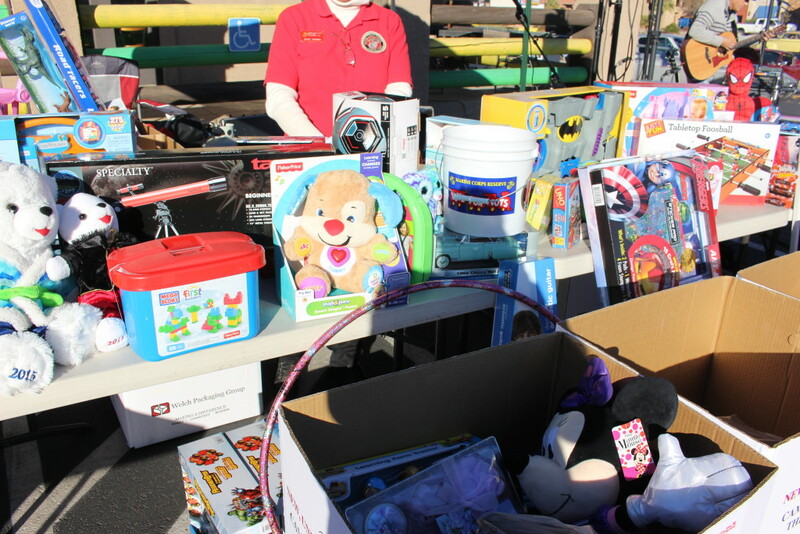 The cash donations are used to buy toys for older children in need of toys during Christmas, Massey said. 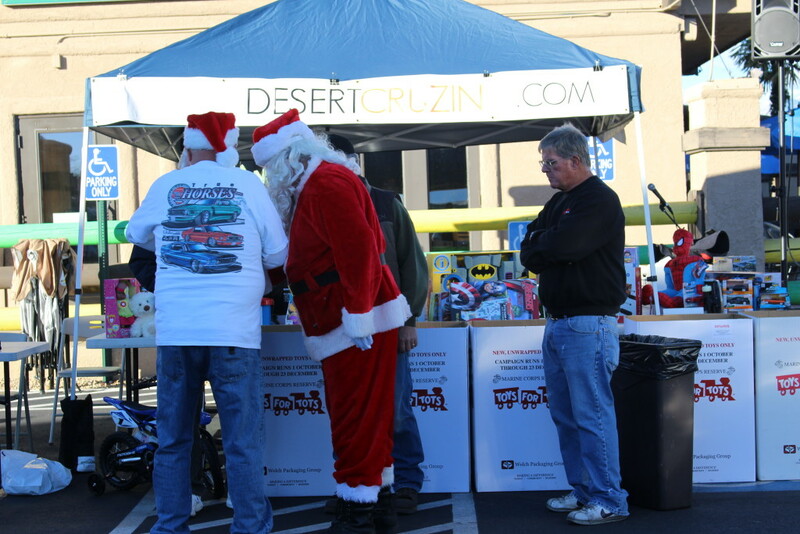 In addition, 304 new toys were counted after unloading and sorting over a dozen large boxes packed with gifts. 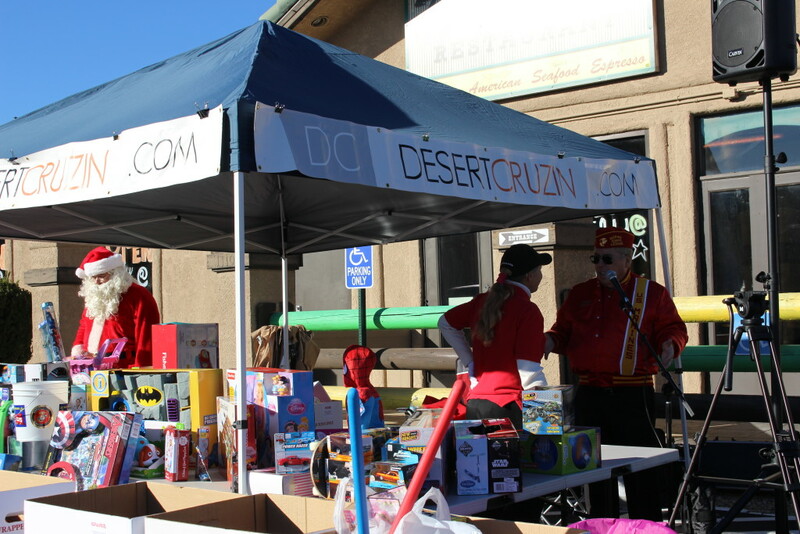 There were a large number of high quality toys donated as well, Massey said. Donations included a junior bean bag chair, a youth laptop, set of girl and boy scooters, a telescope, and hundreds of others. 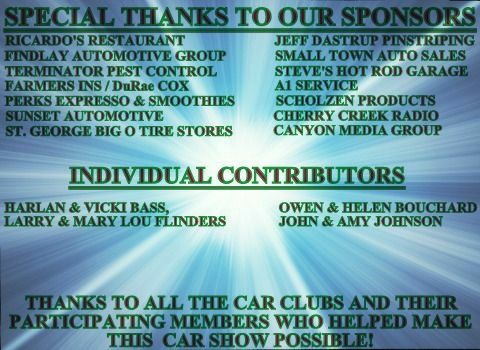 This year’s cash donations were up $1,004 from last year’s total of $2,396, Dastrup said. 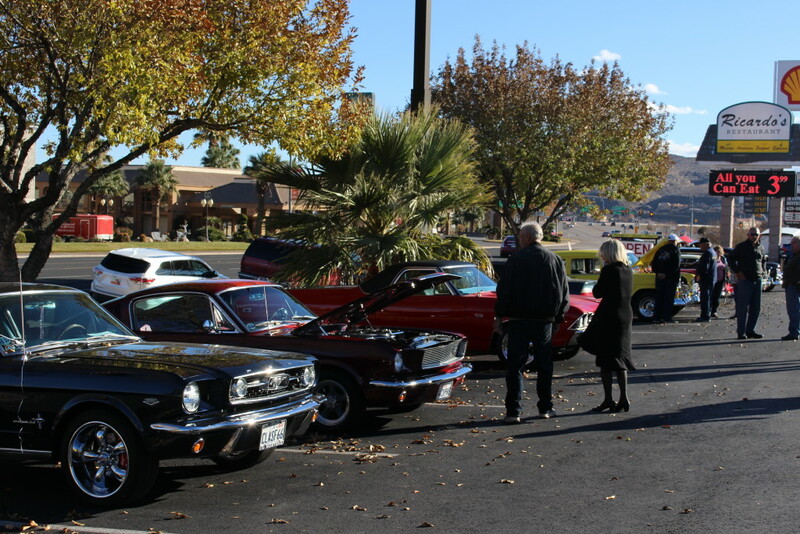 Thanks to clear skies after a rainy Friday, the parking lot of Ricardo’s Restaurant on Bluff Street where the show was held was packed with classic beauties and custom hot rods. 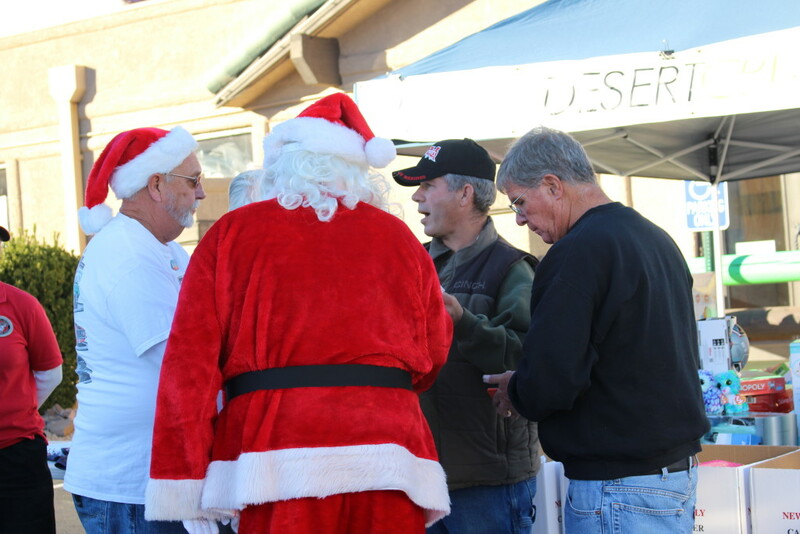 Santa was on-site and mingled with the guests, while Mrs. Santa worked the toy booth. 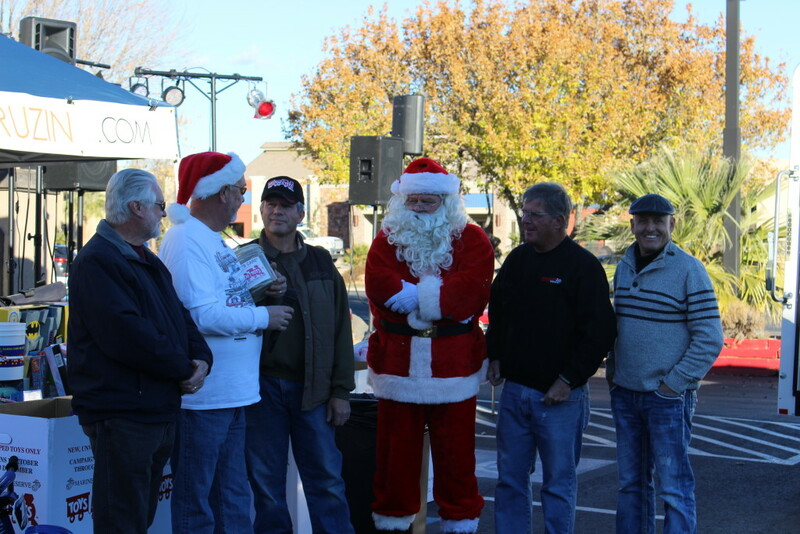 Mike Thomas and his wife, Joyce Thomas, have been involved with Toys for Tots for seven years and are devoted to the cause. 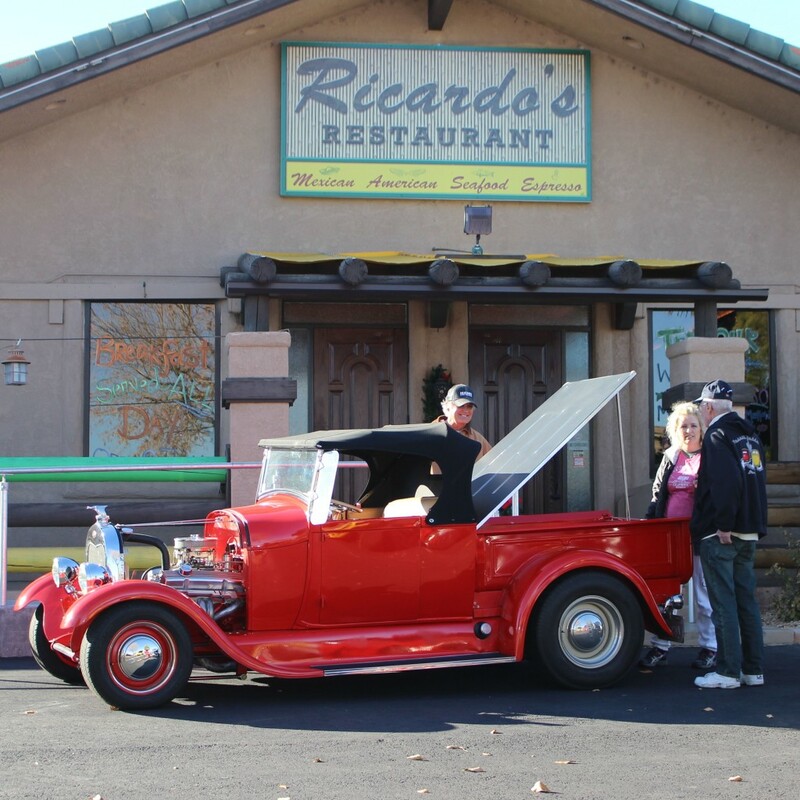 For the second year in a row Ricardo’s Restaurant provided the venue for the car show, and business was booming inside and out. 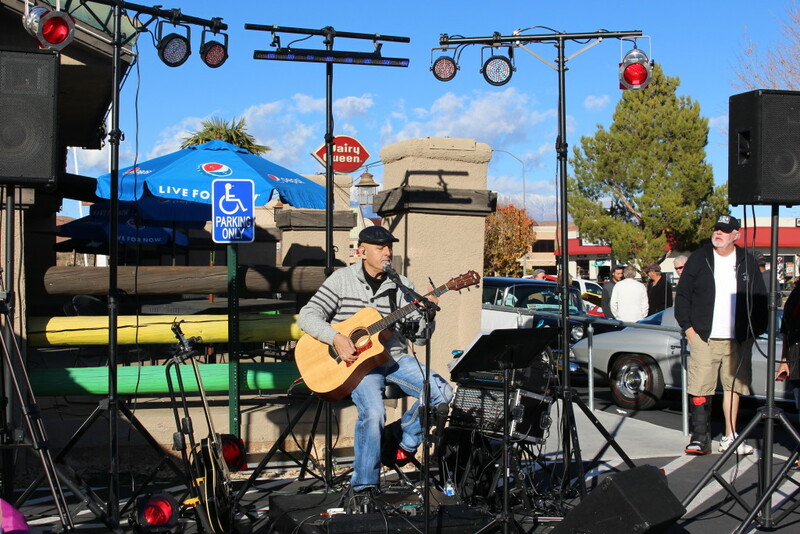 Deon Mendenhall, a singer and song artist, donated his time and talents entertaining participants and guests alike. 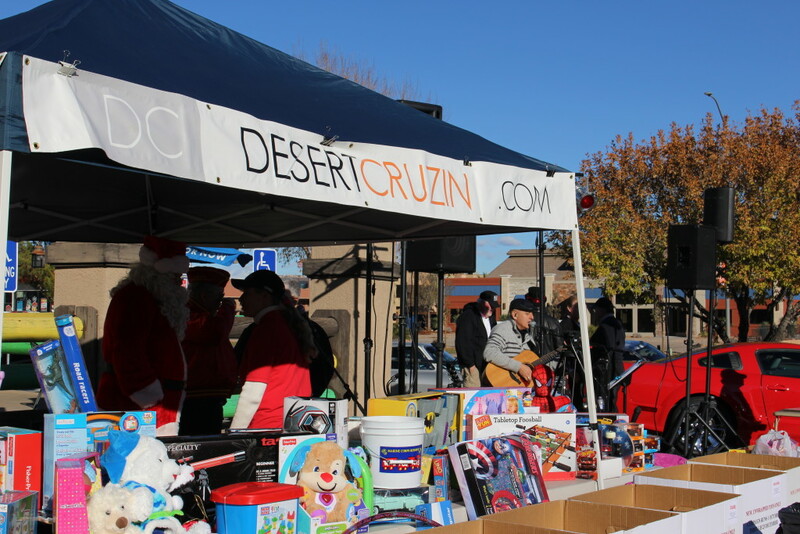 This year is even better than last, in terms of overall donations and number of children helped, Massey said. 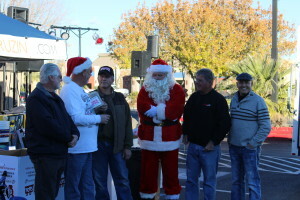 So far this year, Toys for Tots has collected approximately $8,000 Massey said. 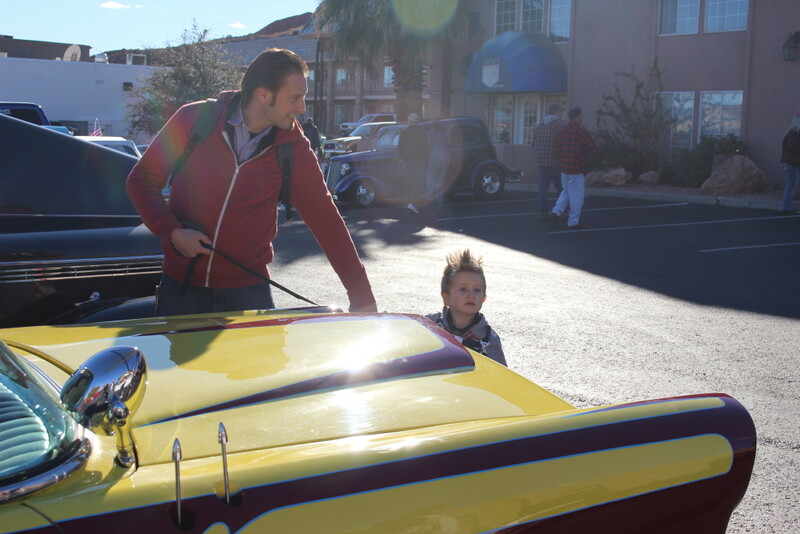 End totals will go up to about $16,000 to $17,000, he estimated. 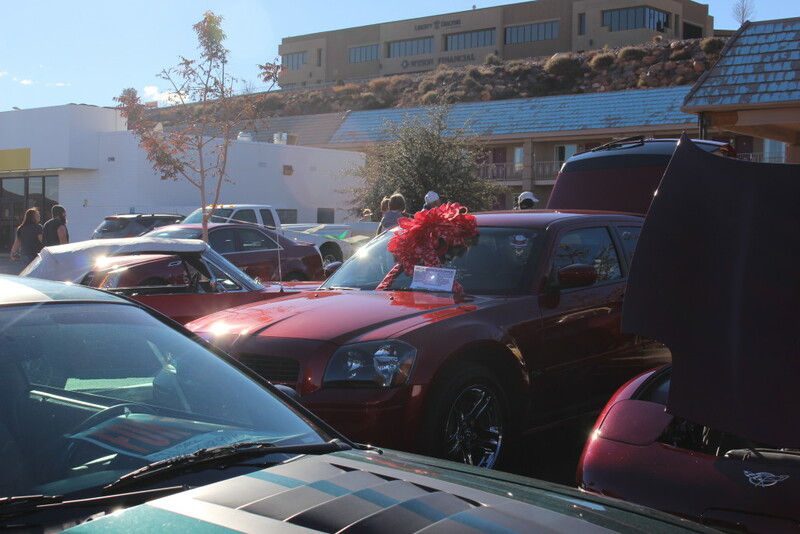 When: Dec. 18, 8 a.m. 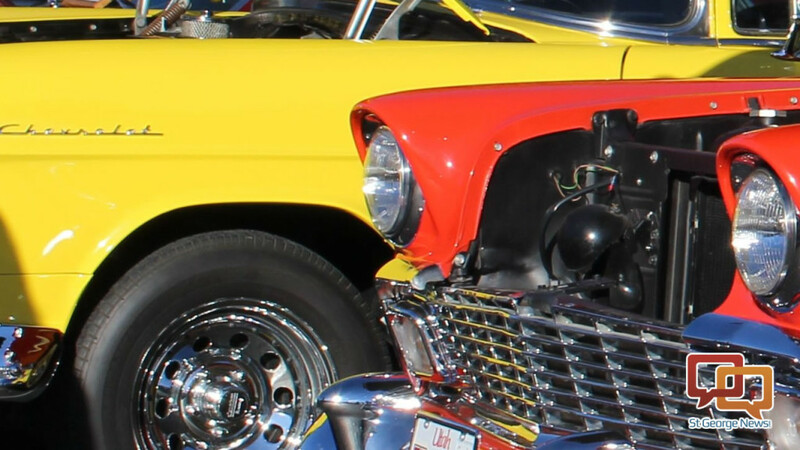 When: Dec. 19, 9:30 a.m. to 1:30 p.m.